Marvelous Marvin Hagler discussing career, Mayweather & Pacquiao. 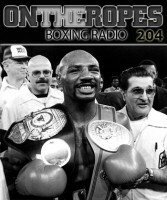 Also with Wladimir Klitschko & Peter Fury ~ “On The Ropes” #204 Interviews! 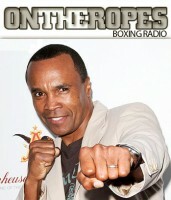 “On The Ropes” Boxing Radio is back this week with host Jenna J to talk about all the latest fight action in boxing. In this episode I will recap last weekend’s HBO double-header card which featured two of the most exciting fighters in the light heavyweight division, Sergey Kovalev and Adonis Stevenson. Both fighters had impressive KO victories and have brought more light to their division. I will talk about the future of both fighters and also talk about a potential showdown between the two. Also on the show I will preview the upcoming fights for this Saturday night, bouts between Zab Judah and Paulie Malignaggi, Guillermo Rigondeaux vs. Joseph Agbeko and many more. Just click on the audio player to listen to the show! 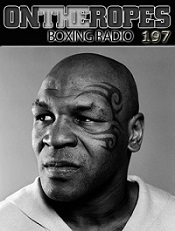 This week’s first guest is trainer Peter Fury. Peter is the head trainer of heavyweight title contender, Tyson Fury, and unbeaten heavyweight prospect, Hughie Fury. Fury makes his return to the show to give an update on Tyson Fury and the recent cancellation of the fight with David Haye. Aside form this, Peter talks about recent fights that have taken place in the sport, such as Froch vs. Groves and Pacquiao vs. Rios. The second guest is current IBO and WBA heavyweight champion, Wladimir Klitschko. Klitchko talks about his recent fights and some of the criticism he received for them. Wladimir also gives his views on the rising heavyweight contenders that he could get matched with in the near future. 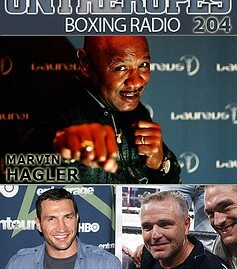 The main guest in this weeks show is legendary fighter, Marvelous Marvin Hagler. 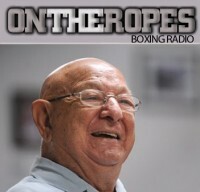 Marvin makes his third appearance to the show and talks about his long career which made him be recognized as one of the most iconic fighters in boxing history. Hagler looks back to his first title fight, and discusses some of his more popular bouts with fighters like Roberto Duran, Tommy Hearns and Sugar Ray Leonard. Lastly, Marvin Hagler gives his views on the today’s boxing scene and the fighter he enjoys watching the most. 1 Response to "Marvelous Marvin Hagler discussing career, Mayweather & Pacquiao. 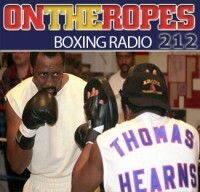 Also with Wladimir Klitschko & Peter Fury ~ “On The Ropes” #204 Interviews!"